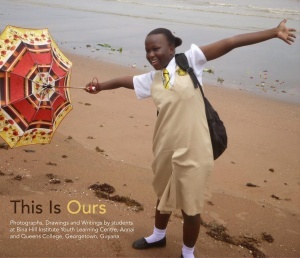 This Is Ours is a hands-on workshop and book series that uses digital photography, storytelling and illustration to enable and empower students to communicate personal knowledge of their environment. Students work collaboratively to identify topics that they believe are most important to teach about their local surroundings. 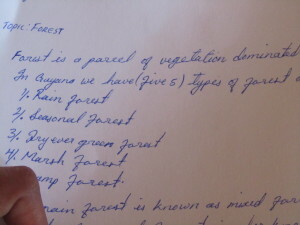 Topics include water usage, medicinal plants, transportation, and agriculture. Every volume in the series is created by students for students and tells the story of a different location. It is a shared experience of the world from student’s perspective. Each student is also given a book that he or she can take home. education & environment, a collective of dedicated educators, communicators and technical minds. 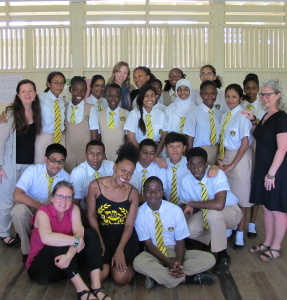 In March 2015, Queen’s College of Guyana Alumni Association (NY), Inc. (“QCAANY”) teamed with e2 education & environment to take This Is Ours to Guyana, South America, for two weeks. 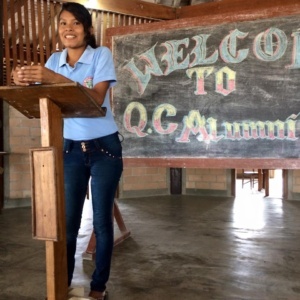 We visited Queen’s College in Georgetown and the Bina Hill Youth Learning Center in Annai, North Rupununi. Queen’s College is located in the relatively well-populated capital of Guyana, Georgetown. 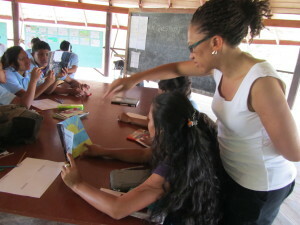 Its students are primarily from the two major ethnic groups in Guyana, Indo- and Afro-Guyanese. Bina Hill, on the other hand, is in the hinterland and not easily accessible. It is located in the Northern Rupununi community of Annai, next to a unique and protected rainforest reserve community on the Guiana Shield called the Iwokrama conservancy. Its students are indigenous Makushi people, descendants of Caribs. Queen’s College of Guyana Alumni Association (NY), Inc. 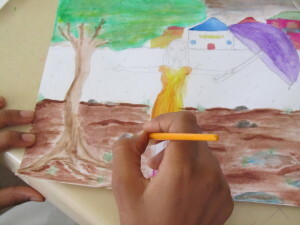 The goal of This Is Ours: Guyana was to encourage and nurture students’ interest in protecting the environment. 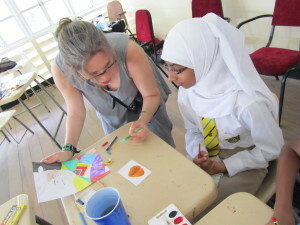 The program worked with approximately 20 students between the ages of 13 and 20 over a five-day period in each school. Forty students in 10 days. The students’ work were compiled and published in a book. (Click here to purchase a copy of the book!). 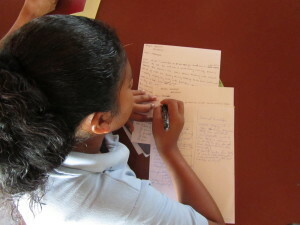 The book highlights Guyana as seen through the eyes of 13 through 20-year-old Guyanese students.